An important part of the retaining wall of the steel sheet piles is the part embedded in the soil. This part of the soil / sheet pile interaction is more complex, the soil not only acts on the upper wall can also support the embedded part. There are many uncertainties in the design of steel sheet piles retaining wall, and the current design method can not carry out rigorous theoretical analysis. Theoretically the correct solution in practice is often not achieved. Of empirical coefficients, the formation of a high degree of feasibility of the program. The second step is based on the obtained bending moment and shear force to determine the steel sheet piles retaining wall section, retaining structure. 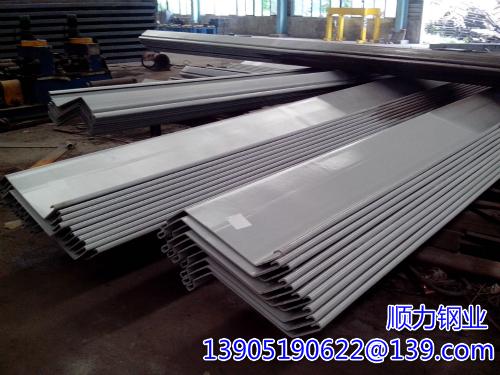 The second step is based on the obtained bending moment and shear force to determine the steel sheet piles retaining wall section, retaining structure Design should Adopt the most unfavorable condition, also consider consider all possible situation. When designing the retaining wall, it is necessary to ensure that the rupture surface through the pile tip is stable. The failure of the structure caused by the sliding of the soil can not be neglected. In addition, the anchoring wall should be located outside the Potential rupture surface.